Explain the known causes of each type of headaches. Complete a detailed intake of clients to determine history of headaches and massage therapy compatibility. 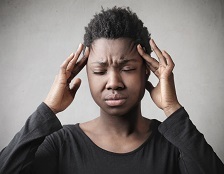 Perform appropriate massage techniques to clients with acute or chronic headaches. Perform appropriate massage therapy techniques for clients with facial pain.